After his performance at KIT on January 5th-7th 2018, I had the opportunity and honor to interview Jackal. Today, I asked him questions from his 5th place finish in the Killer Instinct bracket. 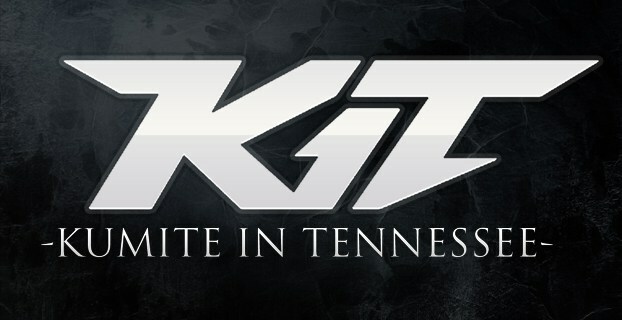 Jamm: First question, what character did you play during the Killer Instinct Bracket at KIT? Jackal: Then that would be Gargos. Jamm: Did you ever consider counter picking during any of your matches at KIT? Jackal: It’s always a thought whenever I play in a tournament. However, I’m a firm believer in playing what you feel most comfortable with, over what looks good on paper. Jamm: You placed 5th in the Killer Instinct bracket, how can you improve for the next bracket? Did you go back and watch your videos when you got home? Jackal: At this point, the best thing I can do is minimize unforced errors. I found myself having a lot of drops during my matches, along with allowing my opponent to break through my guard because I didn’t react properly. I also normally warm up for about an hour or so right before a tournament, but since I failed to do so at this one, my performance suffered as a result. I also review all of my matches as soon as possible so I can isolate specific things to work on. Jamm: Who was your toughest match during the KIT bracket? Jackal: Definitely Waterhorses. Water and I have played in the past, and while I’m able to take games off of him, I’ve never been able to beat him in a full set. Not to mention, he plays a character that I’ve always struggled against since I started playing the game, which didn’t help lol. Jamm: Before traveling to KIT, how much practice did you get? Jackal: I actually got quite a bit. I hadn’t started my new job yet, so I had a lot more free time than I usually do to practice. Some days, I played for a couple hours, others I played for a few more. Jamm: What is the next major you plan on attending? Jackal: I’m currently looking into attending Final Round at the moment. Jamm: Any advice for those who might consider picking up Killer Instinct? Jackal: For starters, definitely try out all of the characters first. Secondly, be patient. KI is easy to start, but once you do, learning all of the game’s intricacies will take time. Lastly, be open minded. KI is a game with a large array of possibilities, whether it be for match ups, general strategies, or overall character viability. Because of this, you should always keep an eye out for new things! Jamm: Finally, where can people follow you on social media? Jackal: My Twitter is @PrettyBoyJackal which is also the same tag for my stream.me channel, as well as my YouTube. Jamm: Alright, thank you for your time and best of luck in future tournaments. Jackal: No problem, the pleasure was mine!